A bankruptcy official has asked a US court to hold Irish property developer Seán Dunne in contempt for a second time for not disclosing emails about his business dealings. Trustee Richard Coan also urged the court to “impose an adverse inference” that two deleted email accounts contained evidence incriminating Mr Dunne in a “global effort to fraudulently transfer and conceal assets”. The request, made in court papers filed over the Christmas period, comes less than a year after a US judge threatened Dunne with the prospect of jail if he defied a July 2016 subpoena requiring the disclosure of emails. Mr Dunne was held in contempt in August 2017, but later claimed he had “cooperated” at a “high level” with the trustee. However, in a recent court filing, Mr Coan alleges emails in deleted accounts show Mr Dunne made efforts to conceal his ownership of Walford, Ireland’s most expensive house. Mr Dunne was a prominent developer during the Celtic Tiger era, but he ended up filing for bankruptcy with debts of around €700m in 2013, three years after relocating to the US. He is currently undergoing a dual bankruptcy process both in Connecticut and Ireland. 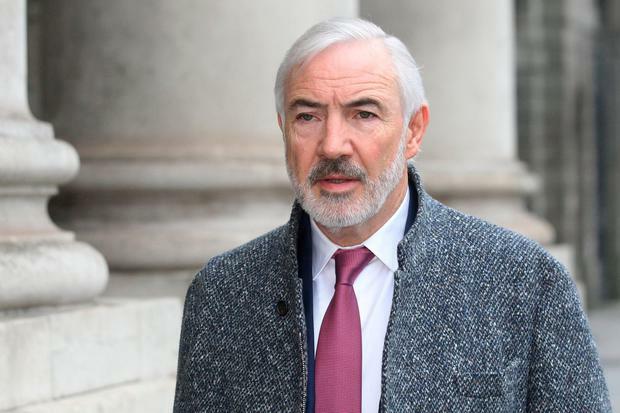 Emails from a number of Gmail accounts used by Mr Dunne are being sought by Mr Coan as part of a lawsuit in which the trustee is seeking to reverse the transfer of tens of millions of euro in assets to his wife Gayle Killilea. The trustee alleges the assets were fraudulently transferred and still under the control of the developer. The claims are denied by Mr Dunne and Ms Killilea, who maintain the transfers were lawful. They also say Ms Killilea was the beneficial owner of Walford and that Mr Dunne had no interest in the property when it was sold in 2013. Mr Dunne has previously claimed he no longer had access to certain business emails as he shut down accounts, claiming they had been hacked by agents working for one of his largest creditors, Nama. The allegation has been rejected by Nama. In a recent court filing, Mr Coan said there was “no merit” in Mr Dunne’s contention he had purged his contempt. “The court should find the debtor in further contempt,” the trustee said. Mr Coan also said Mr Dunne “inexcusably delayed” hiring an IT consultant to retrieve the email accounts until November of last year. Last October, the High Court in Dublin extended Mr Dunne’s Irish bankruptcy period until 2028 over his “wilful and deliberate” failure to co-operate with the official assignee in bankruptcy, Christopher Lehane.